Shall we discuss my epic fail on the above picture and the fact that I have forgotten to state which shade is which. Although I am liking my snazzy swatch template from etsy which I have bought as I know I very rarely do swatches on here, all change now though. So before I go any further lets go through the swatches, from left to right - free spirit / force of nature / dreamer / multi-tasker (top row) / caregiver / natural beauty / best friend / bombshell (middle row) / super mom / wanderer / power player / fashionista (bottom row). Moving away from that, Tarte's Tartelette Amazonian Clay Matte palette was Tarte's first major palette release. The number of times I've had this on my Sephora list for people to pick up, then I literally had it in my hands when I was in New York, but ended up putting it back. When I spied someone selling this for £15 with proof of purchase, I nearly took their hand off for it. I'll be honest I was quite wary buying this thinking was it actually real, how bad was the use of this be. However with all make up products (unless they're fully sealed in plastic) I will sanitise before use. What was alarming with this palette is that it appeared that only two - three of the shades had been swatched and that was it. I'm already a massive fan of Tarte's Amazonian Clay formula and this palette doesn't disappoint - the colours are pigmented and last on the skin. Personally I love a matte eye, however I mainly use this palette in conjunction with other shades from other palettes. I'm yet to do a full look with just this palette. As you can tell from the swatches above there is one shade which is a bit temperamental and that is multi-tasker. I can assure you that it doesn't transfer like this on the eye, however I normally only use a small amount and blend out like my life depends on it. 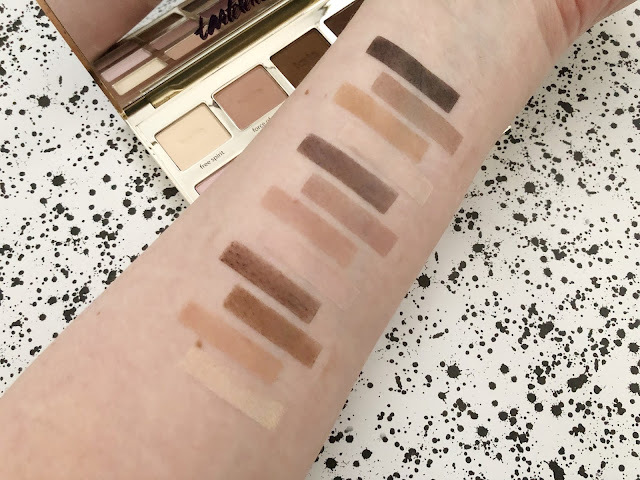 Personally if you are a fan of matte shades, I would recommend this, however I would advise swatching this before buying - which is a pain for those in the UK. 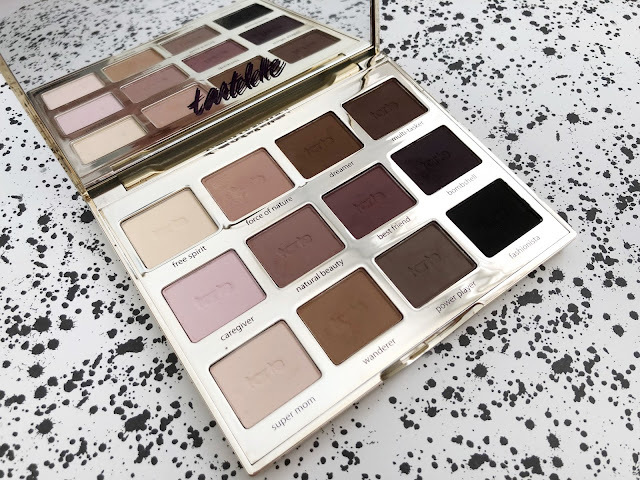 However if you want to try a Tarte palette without breaking the bank I would recommend their Tease palette which I will be reviewing shortly as that contains a mix of both shimmers and mattes.